Hi folks, Rummy Raani here. The fragrance of exotic flowers in the garden still remains in the air. Many of you guys predicted the place right and yes I’m going to travel to Bengaluru, fondly called as the Garden City and now days referred as the Indian silicon valley. 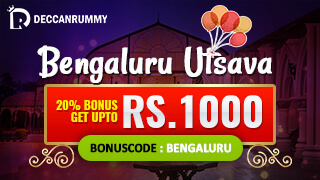 As the city is always buzzing with lots of activities, we are calling the promotion as Bengaluru Utsava. Thanks for waiting. Here we go! The utsava is all set to begin with a bang. Get 20% bonus for deposits with the maximum bonus capped at Rs. 1000. 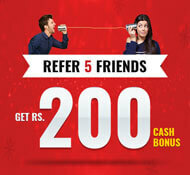 The minimum deposit eligible for this promotion would be Rs. 1000. Use the Bonus code BENGALURU while making a deposit. 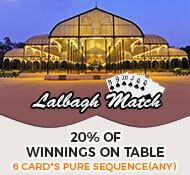 Just like the sprawling Lalbagh garden that spreads over several acres, make a six card sequence and get 20% bonus on your winning amount. The offer is only valid between the dates mentioned. The bonus will be credited only for wins. 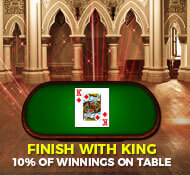 The bonus is applicable only on cash games. It is not applicable for freeroll and cash tournaments. 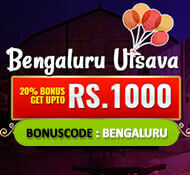 Bangalore is synonymous with Maharajas and Sultans. Their contributions and their efforts towards various developments in the city and the exotic architecture they have come up have lent an identity to the city. To celebrate the contributions of these kings, declare the game with the King card and get 10% Bonus on your winning amount. 50/50 on a first-come-first-serve basis. The offer is open only to Karnataka Players. Players are requested to send the username as well as the address proof correctly to the given number else the bonus will not be credited. The offer is valid only on the dates mentioned. 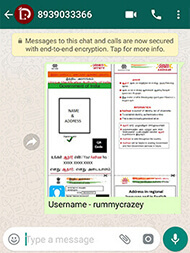 Creating Multiple accounts is a violation of our terms and conditions, players indulging in such actions will be banned. *Standard Deccan Rummy terms and condition apply. MG Road - M. G. Road is the busiest road in city and is lined on one side with retail stores, restaurants and shopping malls, thus making it a perfect spot for a person like me who likes to travel. Brigade Road - One of the busiest shopping areas and biggest commercial centres in Bangalore, Brigade Road is extremely popular with youngsters. Shiva Temple - Kemp fort Shiva Temple is one of the important landmarks of the city. It is known for the 65ft Shiva Statue. Lalbagh Garden - Lalbagh Garden is a prime tourist attraction in Bangalore. It is located in south Bangalore and was commissioned by Haider Ali in the year 1760 and was completed by his son Tipu Sultan. ChinnaSwamy Stadium - Located in the heart of Bangalore stadium, the four decade old stadium is owned by the Government of Karnataka. The stadium hosts test matches and one day matches regularly. Bangalore Palace - Situated in the heart of city, the palace is worth visiting. An epitome of architectural splendour and beauty, the palace was built over a century ago. I am absolutely fascinated by this Bangalore trip and it leaves me wanting for more. 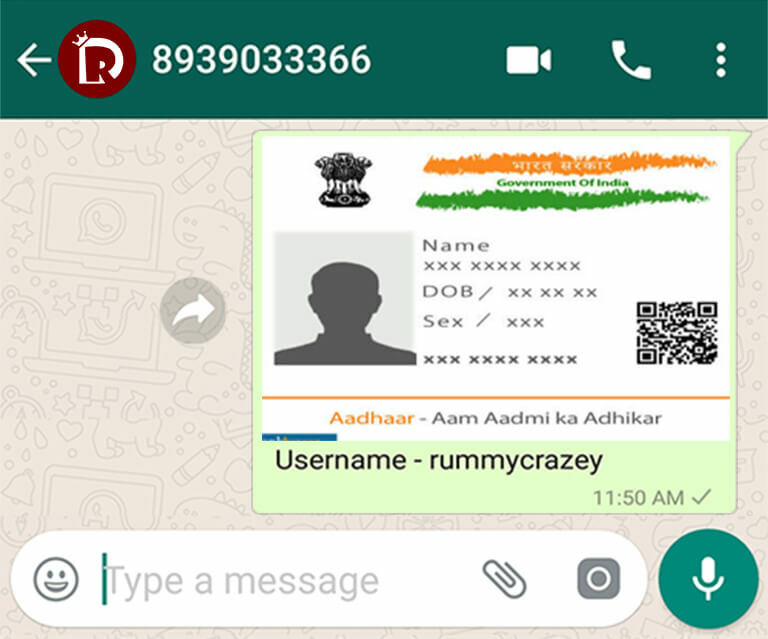 Now as a player, you need to take advantages of these awesome rummy promotions so that you will get to know why Deccan Rummy remains as the ultimate rummy site in India. So where would you like to see me travel to in the next episode?